It was the end of an era Tuesday. 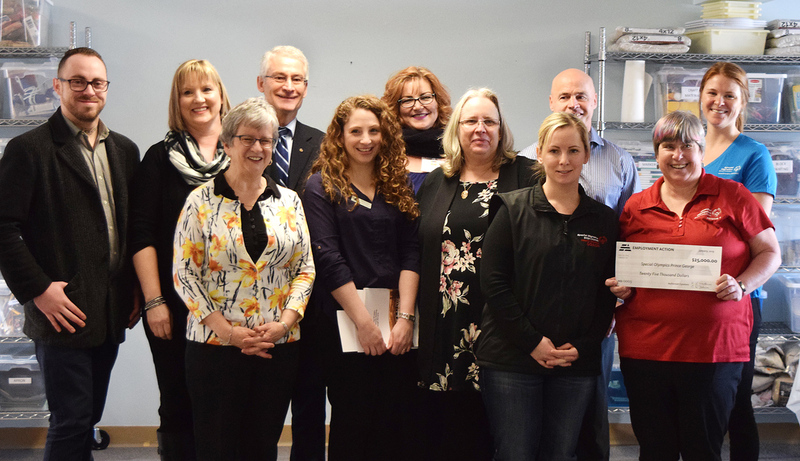 After almost 30 years of serving the city, the Prince George Employment Services Society (Employment Action) dissolved and dispersed its assets. The organization’s mandate was to provide services to people experiencing mobility, access, communication, health, or vocational challenges. Since its formation in 1990, the organization worked with employers, rehabilitation professionals, private businesses, and government agencies helping people get back on their feet. She said much of what the society does has now been taken over other organizations and for-profit businesses resulting in the decision to dissolve the society. With the dissolution of the society comes the question of what to do with the assets. The board decided to liquidate the assets and donate cash to four local organizations. “We chose groups that really resonated and will help our community in the future to provide services to people with special needs. The society has given $25,000 to the Northern B.C. Children and Families Hearing Society, $25,000 to the Community Arts Council of Prince George, $25,000 to Special Olympics Prince George, and $92,300 to the Prince George Community Foundation, which will create a special Employment Action fund.